The emotions we have when ditching a dead end job for a new career roller-coaster between I got this and what am I doing? As with any big life change it is important to do your research before investing any money. Getting your Real Estate license in Nevada is a process that many have successfully done before you. Investing in your new Real Estate career can be not only expensive but also time consuming. You will want to save up a minimum of six months reserves to pay your household bills. It takes time and money to invest in a new career in Real Estate. After you complete this extensive process to get a license it is important to also plan for the time it will take to fill your new career pipeline of new business. Supporting yourself during this transitional time is crucial to your success. Talk with other professionals in the industry you are looking to get licensed. Setting a goal is important and it does not have to be a final decision. You can change your area at any time. Commercial or residential sales or to go for timeshare sales? Broker the sale of businesses or become an Appraiser. There are several career choices for Real Estate and some sectors are more saturated than others. Find the area you are most interested in and go for it! There are a few main factors to consider where you will serve your 90 hours of class time. Fees, time and support. What are the class schedules? Will an online school work with your schedule or do you learn better in the classroom? There are many options to choose from when shopping around for your Real Estate Education Classes. Ask your friends and check online reviews for a reputable place and it doesn’t hurt to make sure the school is properly licensed by the state. Enroll in a school that will work with you to help you achieve your career goals. Find the list of Nevada Real Estate Schools approved by NRED here. Nevada law requires Real Estate professionals to complete fingerprint background checks prior to being licensed. There are certain crimes that will disqualify you from working in Real Estate. Real Estate applicants may not get licensed if they have theft and grand larceny convictions. When shopping for a fingerprint site check the list of approved fingerprint vendors that the Nevada Real Estate Division provides. Check online reviews for a trustworthy Livescan company. Which brands have multiple locations for convenience? Fingerprinting Express is the best in the business, has multiple locations statewide and provides fingerprinting services for walk-ins or by appointment. The required fingerprint background check for Nevada Real Estate Division has a validation period of 90 calendar days. If over 90 days, the Nevada Real Estate Division may require the applicant’s fingerprint background check to be completed again, for additional fees, if the licensing application is not submitted within 90 days of the fingerprint background check being completed. You can find the Nevada Real Estate Fingerprinting Verification Form here. School must be complete to enroll for your testing. This is a tricky test. There may be multiple correct answers and you have to find the most right answer. It helps to read every word of the question to make sure you understand the question. One word can change the answer so it can pay off to read the question a few times. This is one of the most important pieces in your list of decisions that must be made. Choose a broker that has a rigorous training program. You may want to be closer with the expert in that industry. What type of resources are available to you? Do they provide business cards and marketing support? What are the commission splits? Consider training under a licensed professional as an admin support position. Some will share commissions and/or pay hourly. It will take a few transactions under your belt to get the hang of your new career so the broker support is essential to your success. Sign your affiliation papers to seal the deal. Compile all of your forms together and check the Nevada Real Estate Checklist for everything you need to turn in along with the current fees. Whenever possible, drop off your forms and payment in person. But wait, you are not done yet! You cannot practice Real Estate until your broker receives your actual NRED License. Keep in mind that it can take NRED a few months to license you, depending on their influx of applications received. Ask the division representative the approximate processing times when you turn everything in. 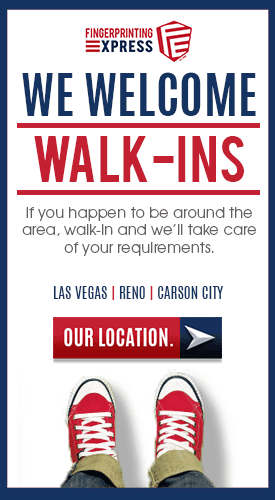 All agents must have a business license from the Nevada Secretary of State. Your state Real Estate Business License must be your name. If you use a nickname, you must file your entity as Joseph “Joe” Smith, LLC To get your Nevada Business License for Real Estate go here. Find an association that is good for you and become a member. The fees can be initially hefty and ongoing so make sure to understand and plan for the fee structure. After you begin your new career focus your spare time on becoming the expert in your field and get all the designations available to you. This will assist your marketing efforts to stand out from the competition. You are your brand. Market yourself. Join the local chamber and attend networking events and mixers. Hand out your card to everyone you meet. Create an online marketing brand. Whether it is a career pivot or a fresh start, the task of obtaining a Real Estate License in Nevada can be daunting. These steps will bring some guidance and clarity to the process. If you are looking for a fast, reliable Livescan and fingerprint services in Nevada call or book your appointment online today. With 3 Nevada locations, Fingerprinting Express is here to help. Book an appointment or walk-in today!